Platelet-rich plasma also referred to as “PRP” is an effective treatment that can boost the production of skin, health and hair, restoring losses from aging or other causes. At Body Massage Wellness Spa, we have seen the positive impacts of PRP therapy for both men and women suffering from hair loss. A high level of satisfaction results from this PRP non-surgical hair restoration method. 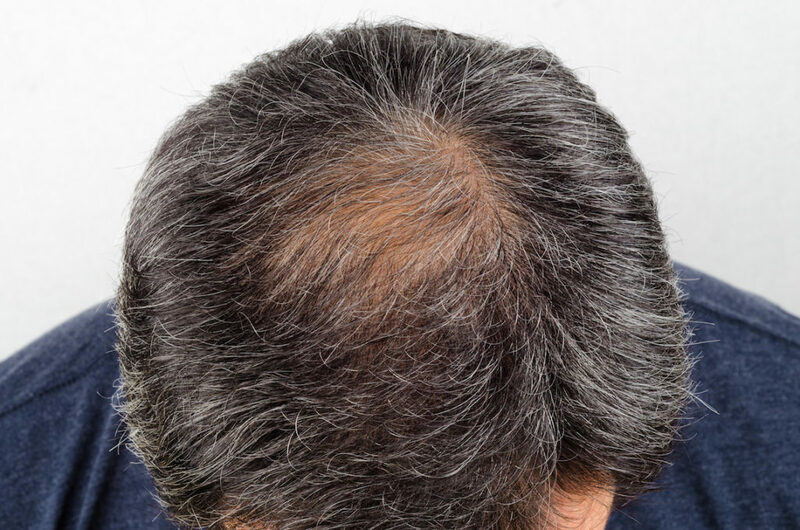 If you’re researching “best nonsurgical hair restoration methods“, then platelet-rich plasma hair regrowth treatments may be the perfect solution for you. PRP therapy helps stimulate collagen production and improve hair restoration in addition to enhancing skin and overall health. Thats why Body Massage Wellness Spa in downtown Denver offers both men and women the chance to change the course of their hair loss and male pattern baldness. Our convenient downtown Denver location offers you the chance to stop in for your treatments and then take advantage of nearby shopping at 16th Street Mall, fantastic downtown eateries, and we’re close to convention centers so we can schedule your hair regrowth treatment when the time is convenient for you, anytime between 10am and 7pm. In PRP, a trained technician uses your own blood and spins it using centrifugal force to separate the components of the blood: the white blood cells, red blood cells, platelets and plasma. Separation of the blood takes from eight to 10 minutes. Once the components are separated, the plasma or liquid of the blood and the platelets are combined. Plasma contains hundreds of various proteins that specifically promote healing. PRP can be used in many applications related to the skin, hair and overall health. For hair regrowth, the trained technician injects the PRP directly into the scalp. Our PRP specialist will start with three treatments and then assess how your hair responds. Even when you complete all 3 treatments, you will continue to see the benefits for months afterward as the PRP works with your body to stimulate collagen. Patient’s should follow-up with a treatment about once a year. Each treatment session will typically take an hour and a half. We take before photos of the hair loss area to be treated. Numbing cream is applied and while the cream is activating we draw a very small amount of blood to begin separation of the components of your blood. How will it feel after PRP hair regrowth treatments? PRP is injected into the affected site. Patients will likely experience redness, a sensation of warmth, and mild to moderate swelling at the treatment area and in treating hair regrowth, PRP can make the scalp feel a sensation like tightness. However, these sensations show that the platelets are working and are typically common. Swelling always occurs after the injection of the fluid into the skin. The increased healing cells in PRP aid in the body’s recovery process. Many participants report that they observed increased hair growth, and they were happy with the effectiveness of the treatment. They noticed fuller and thicker hair after the treatments. Collagen takes as long as three months to produce, which means that you might notice improvements for weeks after treatment. Results will vary, depending on several factors. If you have been ill, suffering with stress or if you smoke, collagen production might take longer. The treatment offers a minimally invasive option to hair restoration. You will face much less downtime with PRP than you will with traditional methods. You will not need pills, medications or creams. You will not suffer any allergic reactions or side effects from PRP because the procedure uses your own plasma and platelets. PRP hair restoration regenerates treated hair follicles which produces the positive hair regrowth results. It’s important to not expose the treatment area to sun. For one week, patients should avoid saunas and hot tubs to avoid infection while the treated areas are healing. No side effects have been reported thus far. You cannot undergo treatment if you are trying to conceive, are currently pregnant or are breastfeeding. If you suffer with any autoimmune diseases or cancer, the treatment is not recommended. You should not receive PRP if you are on anti-coagulation treatment. What else besides hair regrowth can PRP help? Acne scarring and stretch marks can be improved dramatically with PRP . Combo PRP with popular fillers and increase the life of your fillers such as juvederm, voluma, rf skin tightening 20- 30%. Our trained professionals can help you determine if PRP treatment for skin, hair or overall health is right for you. Call us for more information!